Cavoukian’s exit joins the mounting skepticism over Sidewalk Labs and the urban data that will be harvested through Quayside, the first section of a planned smart district called Sidewalk Toronto. Sidewalk Labs has always maintained that the neighborhood will follow ‘privacy by design‘, a framework by Cavoukian that was first published in the mid-1990s. The approach ensures that privacy is considered at every part of the design process, balancing the rights of citizens with the access required to create smarter, more efficient and environmentally friendly living spaces. Privacy, of course, has been a constant source of discussion. Some Torontonians are nervous because of Google’s reputation as an advertising business and the vague information Sidewalk has given about data collection so far. Sidewalk Labs, though, can’t be specific because it hasn’t finalized anything — it’s still researching and considering its options. Still, progress is being made. 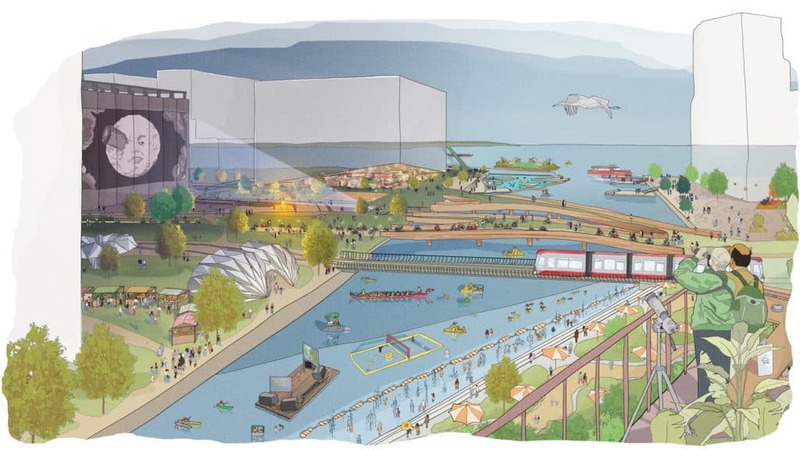 Sidewalk Labs published some initial proposals for data governance in Quayside last week. The bottom line: It wants someone else to handle the issue. The company suggested an independent trust that would oversee all data collection in the neighborhood. If any company, including Sidewalk Labs, wanted to set up citizen-tracking hardware or services, they would need to file an application, called a Responsible Data Impact Assessment (RDIA), with the trust first. Some applications could be “self-certified,” or quickly approved, while others would require careful consideration by the group. Sidewalk Labs says all of its applications would follow Cavoukian’s privacy by design framework. But here’s the rub — the trust would also have the power to approve applications that don’t anonymize data at source. In its proposal document, the Alphabet-owned team gives a theoretical example involving video cameras in public parks. The application, Sidewalk Labs says, couldn’t be self-certified because it involves personal information. It could be approved, however, on the condition that the video footage is only used for park improvement, and that the files are destroyed on a rolling seven-day basis. The company in question would also need to erect signs near the cameras and add their locations to a public registry.